How To Move/Migrate From Blogger To WordPress Without Losing SEO Traffic & Rank? Blogger has been the best blogging platform , especially for the newbies . But blogger has a lot of limitations regarding to seo and customisations. For complete control of our blog , WordPress is an awesome cms , you have full complete on everything from permalinks i.e post urls , permalinks , seo features , and loads of optimisation in just a single click . Almost we can find every plugin for our need . With thousands of developers in the community , wordpress is best platform if you are looking to take off your blog to long way . 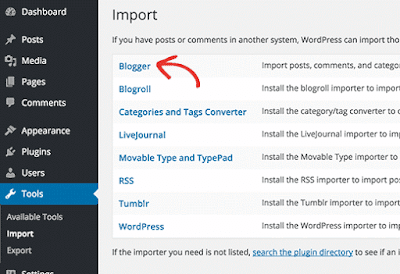 How to Migrate Your Blogger Blog To WordPress ? 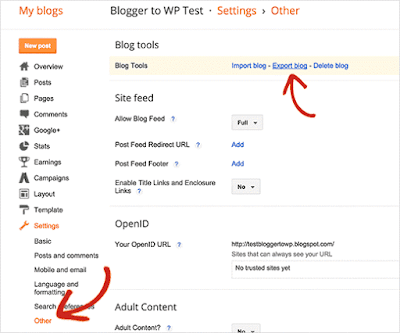 Login to your blogger dashboard , and move to the settings page of your blog . Click on Settings > Other . Now , Click On Export Blog and Save the xml file of the blog which contains all your blog data including posts and comments. Once you have the xml data file , your task is to import them to wordpress admin panel . Login to wordpress dashboard . Click on Tools from sidebar and select Import . Now , you have to install blogger import plugin to continue the process of importing.Once you see the Import blogger screen , Browse and select the xml file you downloaded from blogger using import tool . Once , all the posts are imported , now you have to set up the posts permalinks exactly to the blogger style permalinks to keep away from 404 error pages , else we will loose all seo traffic from google and other search engines . Now , Save your settings . 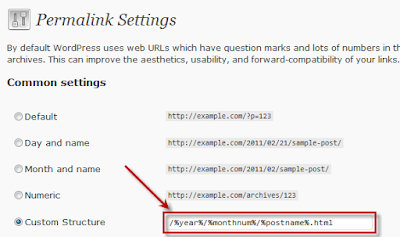 Even though We have changed wordpress permalinks to blogger style , still we are not done up completely with it . Though both are same posts , blogger has trimmed the url length , which needs to be fixed to match the original blogger url of our site . Create a new php file on your server as fix.php or any name of your choice . Once , you save it , Open the file in your browser . For eg . This will fix all the url and make it exactly same as the blogger url structure . Now you can search your site in google and click on any links to check if its working or giving any 404 error pages . Now , you have successfully migrated your blogger blog to wordpress cms without losing any seo traffic , Keeping all the content the same . You now have access to thousands of seo plugins and features for every need .